A product authentication is a process for determining or ensuring that a product is authentic or genuine. One of the criteria which becomes the object of authentication is halal products (food, cosmetics and medicine) through the existence of non-halal components of the products. Halal is one of quality determinants in pharmaceutical products, especially in Muslim society. 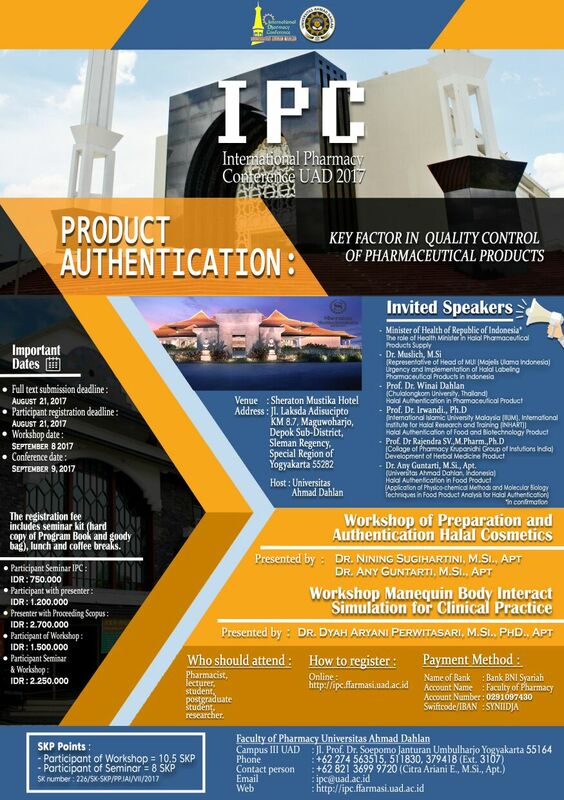 An authentication of halal products is one of interesting topics to be discussed and researched. Along with science and technology development, pharmaceutical products can be added by non-halal components. Several components of non-halal are also found in the pharmaceutical and medical supplies such as insulin, heparin, protein, derivative / derivatives pork lard as in the preparation of lipstick, pork in meatballs and sausage products, rat meat in meatballs, as well as pig gelatin in the capsule shell. The issue of using non-halal components has caused concerns among Muslim consumers around the world. It is because the counterfeit of halal and non-halal components or subhah in food products has expanded and is difficult to identify by visual observation only. Therefore, halal product assurance (for food, cosmetics and medicine) through the non-halal existence test is a must. The existence of non-halal components in a product can be identified by using different methods, including chromatography, spectroscopy, electronics smell, differential scanning calorimetry (DSC) with certain detection limit, as well as polymerase chain reaction. However, the process of analyzing non-halal components in a product sometimes encounters some complex problems because non-halal components are added/mixed in the same matrix. 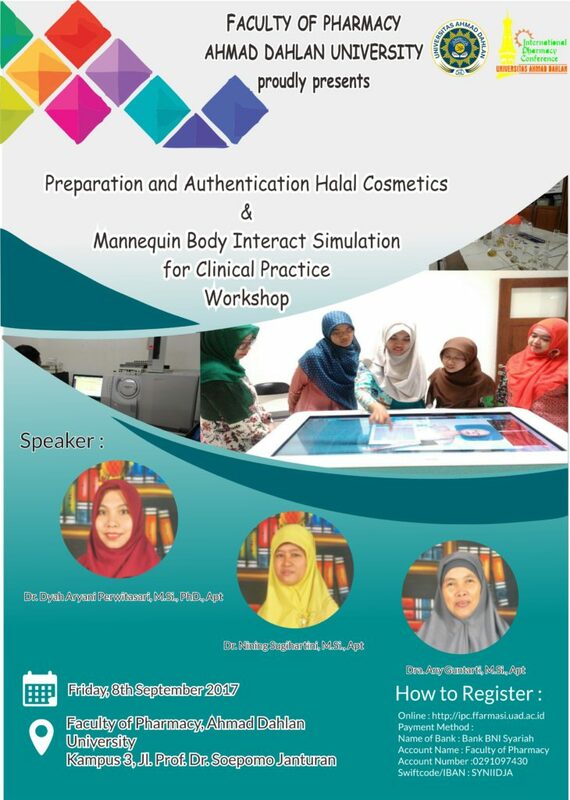 The seminar is held as a place to exchange information between researchers, academics, practitioners and policy holders about halal authentication and regulations in national and international scope. Universitas Ahmad Dahlan has Islamic mission and global insight that strives to contribute to the development of halal authentication.